On Easter Sunday a number of years ago four generations of my family were gathered around the dining room table when we got a phone call that a cousin had died earlier that day. It was sad news – she was a much-loved member of the family who lived many states away but had visited us several times in recent years. I had only begun to get to know her over the past few years, and now she had died of cancer. I’ll never forget the sense of emptiness I had felt that day. It was not only for her loss – but because of how my family had received the news that afternoon. We were all saddened; we all loved and missed her. We were also all Catholic. But no one initiated family prayer for her at that Easter table. Although we had a few moments of somber mood and impromptu silence, and spent some time reminiscing about our favorite memories with her, no one suggested we take the time as a family to pray. I felt the need to do so, but didn’t know how to best begin. I left that afternoon feeling as if we had not only lost a dear family member, but had missed a great opportunity – a time of family prayer together to lift to Heaven the soul of our beloved cousin. As a genealogist, I value death & burial dates, birth & baptism dates, and marriage dates as milestones that help to record and tell the story of the lives I research. As a Catholic, these times have special meaning to me as moments of sacramental and God-given grace. The Church has time-honored traditions that we would do well to understand and to incorporate into these moments of our lives – traditional prayers for a deceased relative, for example. My family and I missed the opportunity around the Easter table that afternoon years ago to together lift our cousin’s soul to God on the day of her death, but I still remember her and pray for her today. In fact, as All Souls Day approaches, we Catholics are reminded to renew our prayers for all of our loved ones and others who have passed. The Catechism of the Catholic Church (CCC) explains that most of those who have died in God’s grace still need purification before they are able to enter Heaven (refer to CCC 1030). Our prayers can help these holy souls. A previous article I wrote for The Catholic Gene explained the importance of All Souls Day to me as a Catholic genealogist (see The Catholic Genealogist’s Feast Day: Lifting Your Family Tree to Heaven on All Souls Day). A recent commenter on that article asked me for more ideas to help introduce his family to the practice of praying for their ancestors. In response to his request as we approach this year’s Feast of All Souls, I’d like to delve a little more deeply into the Church’s traditional ways of prayer and remembrance on this special day for those who have died. Priests have permission to say three Masses on All Souls Day. Take your family to one and pray for your deceased family members and others in need of God’s mercy. You can find the Scripture readings from the All Souls Day Mass here. If you can’t make it to Mass, meditating on the collect for that day is a beautiful way to focus your prayers. The month of November is considered the Month of the Holy Souls. In addition to the collect from the Mass mentioned above, there are some beautiful age-old prayers that can be used throughout this month. The very short Requiem Aeternam (Latin for “Eternal Rest”) is a brief prayer that is easy to pray together as a family for a deceased loved one after regular meal time or other daily prayers. O Lord, and let perpetual light shine upon them. The De Profundis (Latin for “Out of the Depths”) is a penitential prayer straight out of the Biblical Book of Psalms – Psalm 130, to be exact. It has long been used in commemorations for those who have died. Out of the depths I have cried to Thee, O Lord: Lord hear my voice. Let Thy ears be attentive to the voice of my supplication. If Thou, O Lord, wilt mark iniquities; Lord, who shall stand it? For with Thee there is merciful forgiveness: and by reason of Thy law, I have waited for Thee, O Lord. My soul hath relied on His word: my soul hath hoped in the Lord. From the morning-watch even until night, let Israel hope in the Lord. Because with the Lord there is mercy: and with Him plentiful redemption. And He shall redeem Israel from all his iniquities. Let us pray: O God, the Creator and Redeemer of all the faithful, we beseech Thee to grant to the Souls of Thy servants the remission of their sins, so that by our prayers they may obtain pardon for which they long. O Lord, Who lives and reigns, world without end. Amen. May they rest in peace. Amen. If you’d like to get a head start on All Souls Day intentions, consider praying a novena – nine days of prayer – beginning October 24 and ending on November 1, the eve of the feast. You may use whatever prayers you choose. The De Profundis is an important part of this traditional All Souls Novena. Another website offers the traditional All Souls Novena online here with links to each day’s prayers. Another option is to pray the Chaplet for the Dead on each of the nine days. If you’d like to keep your prayers very brief, you could pray this simple All Souls Novena which uses only one short prayer a day. The Rosary has long been a traditional way of prayer for individuals and families. It is often prayed during a wake for the deceased, and would be a beautiful way to pray at home as a family for ancestors who have passed. This would be especially appropriate during October, the Month of the Holy Rosary, which precedes November and its focus as the Month of the Holy Souls. Learn how to pray the Rosary here. When praying for those who have died, you may substitute each Glory Be prayer for the Requiem Aeternam. In place of the concluding Hail Holy Queen prayer, pray the De Profundis (Psalm 130). If you would like ideas on how to pray the Rosary with small children, visit Haley Stewart’s Can You Pray the Rosary with Little Kids in the House? The Divine Mercy Chaplet is another appropriate devotion (and my personal favorite). Its shorter length makes it even easier to complete with young children present, and the plea for God’s mercy seems most appropriate when interceding for the souls of deceased loved ones. According to one of the spiritual directors of St. Faustina, with whom this devotion originated, she herself used the chaplet to pray for the souls in Purgatory. Read more about St. Faustina’s devotion in Pillars of Fire in My Soul: The Spirituality of St. Faustina by Robert Stackpole. Learn how to pray the Divine Mercy Chaplet here. 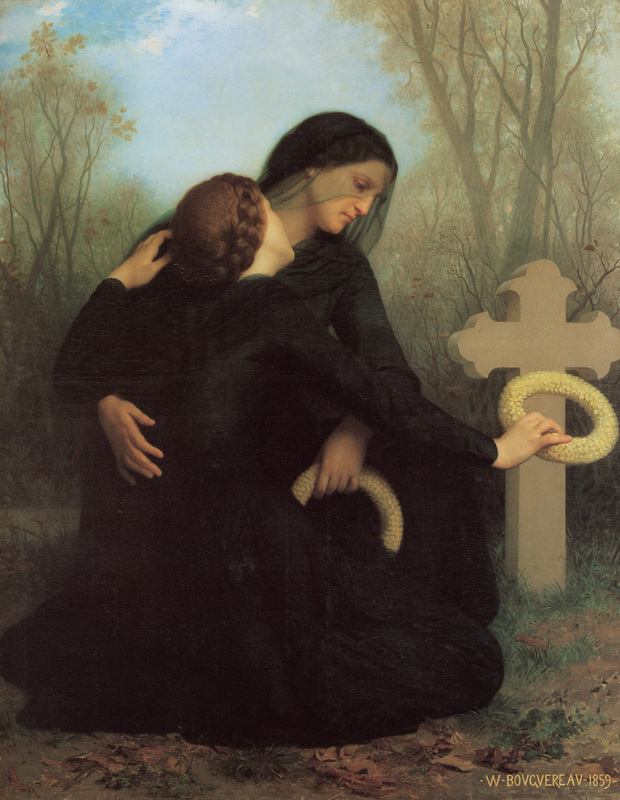 You can find additional prayers for the dead and dying online here. One more prayerful “action item” (according to Fr. Zuhlsdorf): learn about and make a plan to obtain indulgences on All Souls Day and the first week of November for those who have died. Read more about All Souls indulgences here. As you honor the memory of your deceased family members and try to hasten their entrance into God’s full grace of Heaven through prayer, use a bit of creativity. This is particularly important if you are planning activities for your extended family. Even more so if children will be joining you. 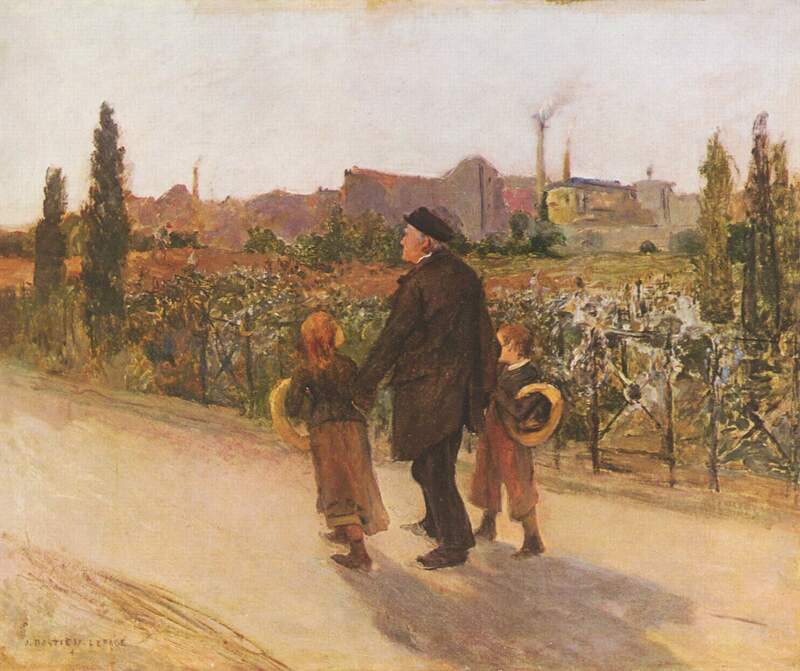 If you have young children and are wondering how they might take all this focus on death and dying, I encourage you to visit Kendra’s Catholic All Year blog and read these two posts: At The End, Charlotte Dies: A Reflection On Death For All Souls Day and Little Kids And Death: How Taking My Kids To A Traditional Funeral Didn’t Freak Them Out. Conclusion: getting introduced to the reality of death and our Christian hope for eternal life early on in our years is not a bad idea. I hope that I’ve given you some new ideas and a bit of inspiration for celebrating All Souls Day within your family. As I’ve grown in my Catholic faith and have said goodbye to more extended family members over the years, my appreciation for this beautiful feast day has grown. …our charity and love go out to those who, though dead, still stand and watch at Heaven’s gate before they can taste of the Lord’s feast. We turn from our gaiety [of All Saints Day the previous day] to the sombre thought that we, too, may one day be waiting at the closed lattice because we are not yet perfect. We leave our friends to visit the loneliest spot on earth: the cemeteries of the dead. just like the memory of you is to us. I think it is quite appropriate that the Catholic focus on the Month of the Holy Souls (November) comes immediately after Family History Month (October) in the United States. I hope you’ll take this coming month to share with your family the new discoveries you may have made about your ancestors as you join together to lift their souls in prayer as a family. Since the feast of All Souls falls on a Sunday in 2014, the commemoration of this day is transferred to Monday, November 3. But don’t stop there! The entire month of November is dedicated to praying for those who have died and must atone for their sins. Print out that family tree, display those photos of your ancestors, and remember them in a special way throughout the entire month of November this year! If there is one day that is the holiday for Catholics who are genealogists, it is All Souls Day. This is the day that our efforts to seek out the stories of the lives of our ancestors intersects directly with our Catholic faith and our responsibility to care for the souls of others. Masses for the dead are known to have been said as far back as the 5th century, but the memorial feast dedicated to All Souls originated in the 11th century and is focused on praying for all those who have left this world in the friendship of God. 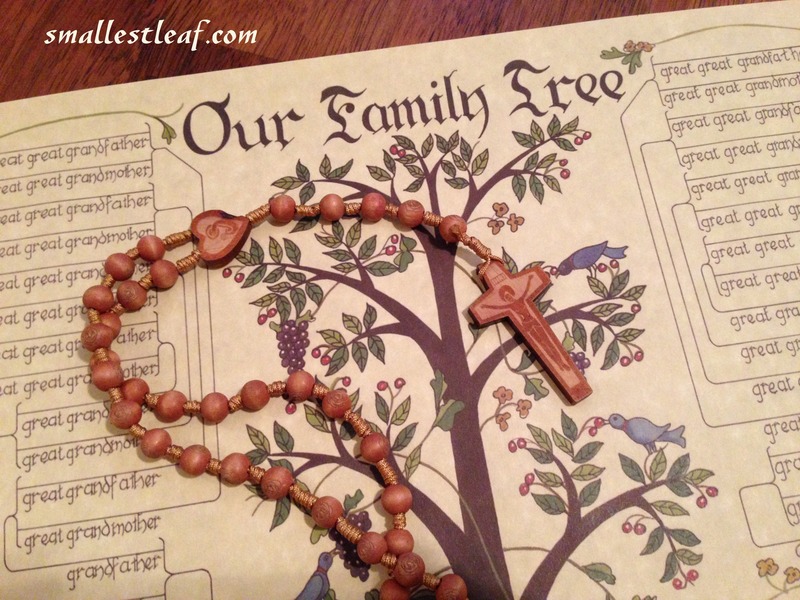 Today is the day of all days to freshly print out our family tree, display as many photographs of our ancestors as we can, and send our prayers up to God for all of those who have gone before us – those who departed from us recently and those that lived generations ago. 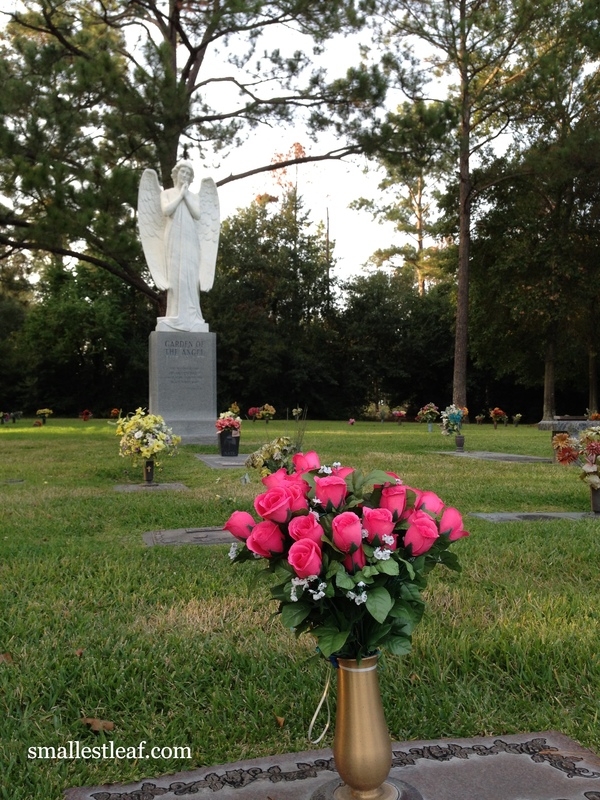 All Saints Day (November 1), All Souls Day (November 2) and the entire month of November have also traditionally been a time for Catholics to visit family cemeteries. In fact, in many Catholic countries you can find cemeteries decorated elaborately on the days and evenings of All Saints and All Souls with flowers and candles lit “to illuminate the way of the departed souls to Heaven”. The Church, after rejoicing yesterday with those of her children who have entered the glory of Heaven, today prays for all those who, in the purifying suffering of purgatory await the day when they will be joined to the company of saints…The celebration of Mass, the sacrifice of Calvary continued on our altars, has ever been for the Church the principal means of fulfilling towards the dead the great commandment of charity. 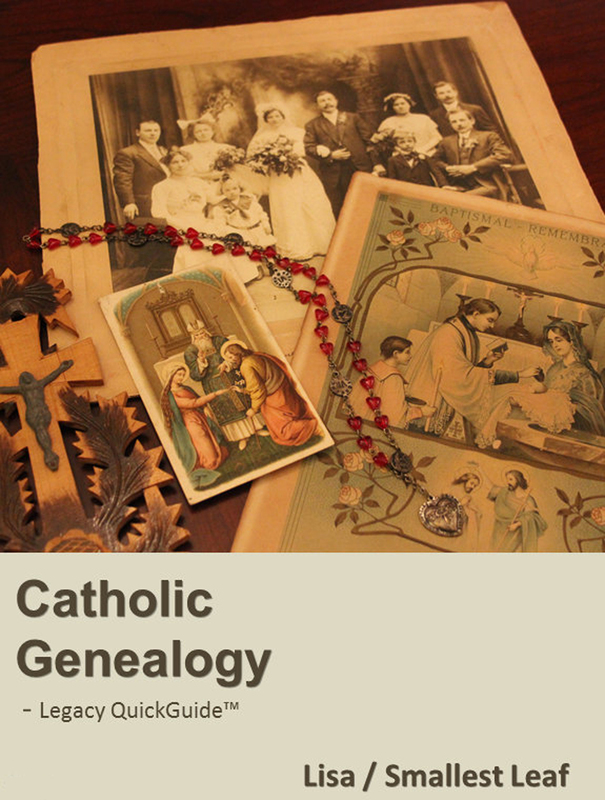 Today is indeed the Catholic genealogist’s feast day. It is the day when our research into the history of our family comes full circle with our reason for living as Catholics: to lift our souls and those of our loved ones to Heaven. Attend Mass. Priests have permission to say three Masses on All Souls Day. Attend at least one and pray for your family members and others in need of God’s mercy. Do a little research and say a few extra prayers. Indulgences have gotten a bad rap in the history books, but they are alive and well in the Catholic Church. It may be a good time to refresh your understanding of this special avenue of God’s grace. Making the effort to say a few extra prayers while attending Mass or visiting a cemetery on All Souls Day in addition to making the sacrament of reconciliation is a special way to remember those who have need of your prayers. Print out that family tree. If you’re like me, my family tree gets additions regularly but I don’t often take the time to print out the latest version to share with the rest of my family. All Souls Day is a great time to print a fresh copy of your research, post it on the wall or put it in a book, and share it with family as you pray together for those who have passed before. Bring out the photographs. Set up a display in your home of photographs of deceased loved ones to refresh your family’s memory of those that have passed. 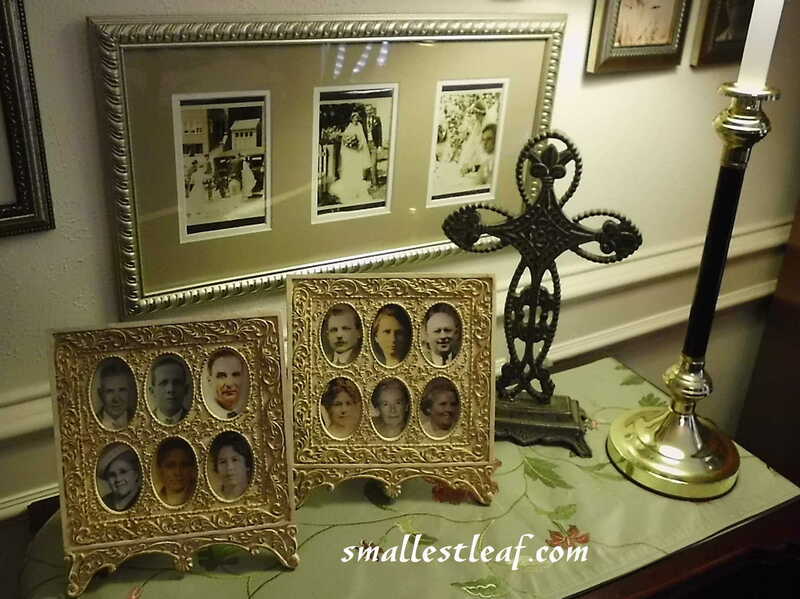 If you haven’t done so, start or finish the ancestral family photo wall project you’ve been wanting to do for so long. Make or visit an online memorial. If you are like me, most of your family members are buried far away. Online memorials give us a chance to “visit” the graves of our family members without traveling. 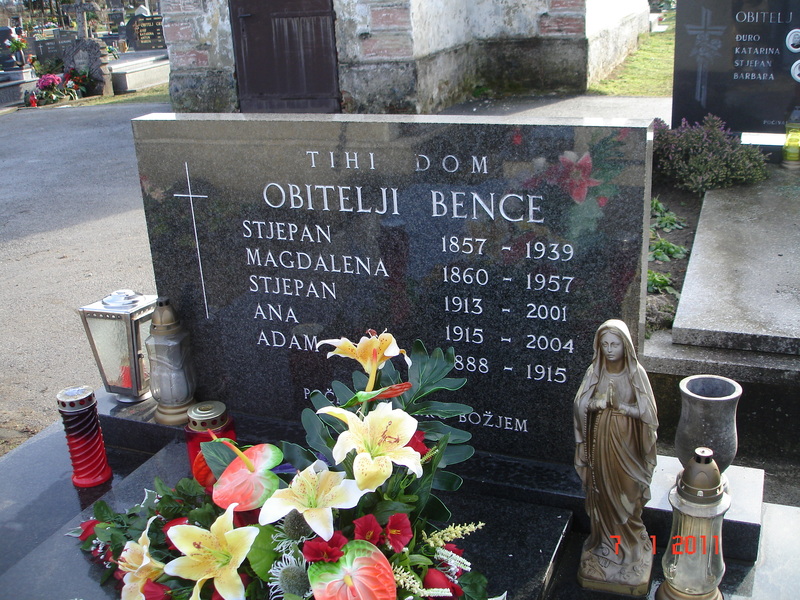 I have set up a number of family memorials on Find A Grave and have appreciated the connections I have made through the site with locals who have taken photos of my ancestors’ gravesites. Make a visit to the site to see if memorials have been created for your ancestors. If not, take the time to set up memorial pages and upload photos of them and their gravemarkers, or request a local volunteer to take a photo for you. It is a sobering experience to contemplate the feast of All Souls, no matter how elaborately or simply you commemorate it. 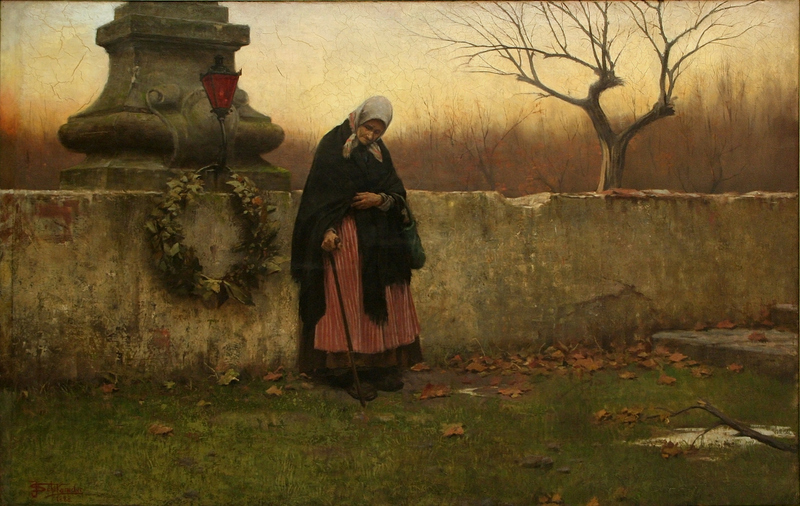 As Catholic genealogists we are no strangers to death certificates and cemeteries, yet the prayers and focus of All Souls Day make it hard to ignore our own personal mortality. In Austria the holy souls are said to wander through the forests on All Souls Day, sighing and praying for their release but unable to reach the living by external means that would indicate their presence. For this reason, the children are told to pray aloud while going through the open spaces to church and cemetery, so the poor souls will have the great consolation of seeing that their invisible presence is known and their pitiful cries for help are understood and answered. If there is any truth to this Austrian legend, I hope that our “wandering ancestors” will look into our homes this All Souls Day and see a sign that we remember them and include them within the prayers of our family. For more ideas to incorporate into your commemoration of All Souls Day, visit Pedigree Charts & Prayers for the Dead: Honoring our Catholic Faith & Family on All Souls Day. My father, Francis Joseph Danko, passed from this life on 04 January 2012. As much as my family knew this day was coming, it still seemed that we were unprepared for his death. One of the most important decisions we had to make was the choice of a church in which to hold the funeral. 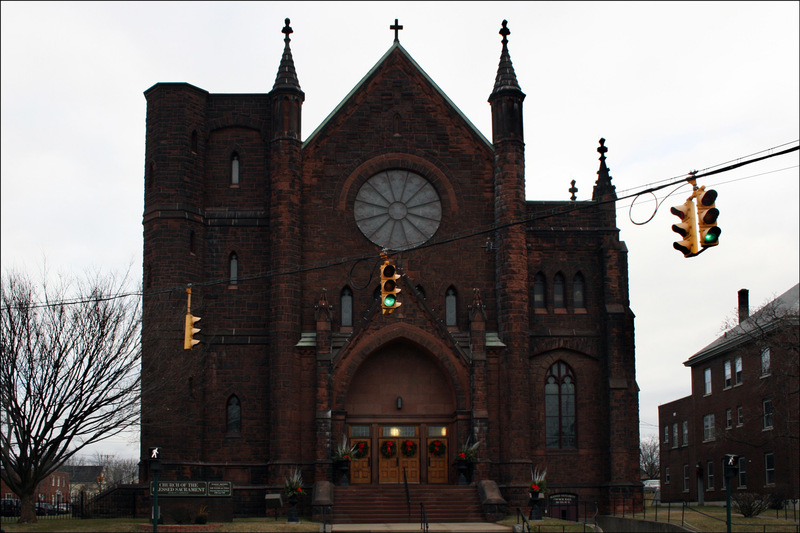 The Church of St. Vincent de Paul in Albany, New York, the church we had attended as a family, did not seem like a suitable choice because the church no longer had a permanent pastor and we would have had to bring a priest in from somewhere else to celebrate the Mass of Christian Burial. We had decided that McVeigh Funeral Home would conduct the funeral since McVeigh’s had arranged the funeral for my father’s sister Helen and we were familiar with them. Besides, the funeral home was just up the street from our old family home. We had also decided that my father would be buried in Our Lady of Angels Cemetery where several other family members, including my mother, were buried. SOURCE: Church of the Blessed Sacrament (Albany, Albany County, New York); photographed by Stephen J. Danko on 08 January 2012. We decided, then, to hold the funeral at the Church of the Blessed Sacrament, around the corner from the funeral home and on the same street as the cemetery. In December, my father had asked to see a priest and Father John Bradley from Blessed Sacrament came by to visit Dad and administer the Anointing of the Sick. Blessed Sacrament is still a thriving parish in Albany, close to our old home, close to the funeral home, and close to the cemetery. Judas, the ruler of Israel, took up a collection among all his soldiers, amounting to two thousand silver drachmas, which he sent to Jerusalem to provide for an expiatory sacrifice. In doing this he acted in a very excellent and noble way, inasmuch as he had the resurrection of the dead in view; for if he were not expecting the fallen to rise again, it would have been useless and foolish to pray for them in death. But if he did this with a view to the splendid reward that awaits those who had gone to rest in godliness, it was a holy and pious thought. Thus he made atonement for the dead that they might be freed from this sin. Are you unaware that we who were baptized into Christ Jesus were baptized into his death? We were indeed buried with him through baptism into death, so that, just as Christ was raised from the dead by the glory of the Father, we too might live in newness of life. Rest in peace, Dad. You will always be in our hearts. The Saint Andrew Christmas Novena was introduced to me by my sister when I was quite young. Usually, a novena is prayed for nine days but, as in this case, it can also refer to a prayer that is repeated over any number of days. 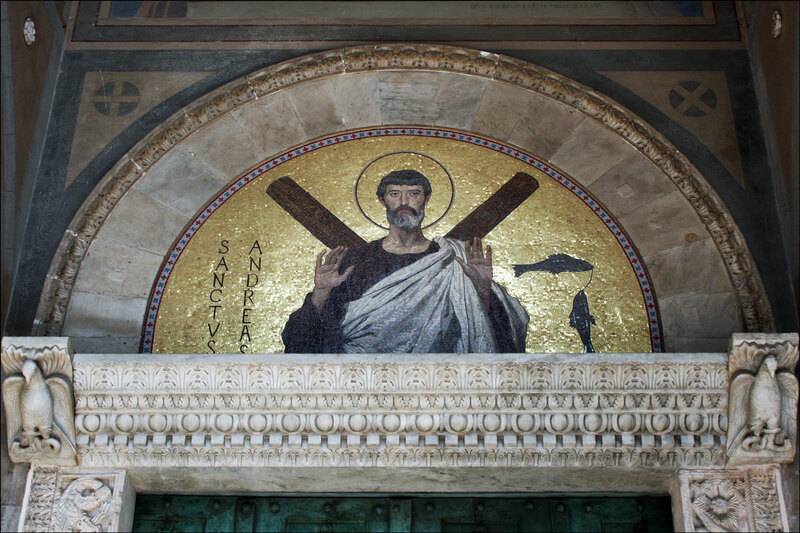 SOURCE: Image of Saint Andrew from the Cathedral of Saint Andrew in Amalfi, Italy (Amalfi, Campania, Italy); photographed by Stephen J. Danko on 08 August 2011. Although the novena is called the Saint Andrew Christmas Novena, the prayer is addressed not to Saint Andrew, but to God the Father Himself, requesting Him to grant our requests in honor of the birth of His Son. The connection to Saint Andrew is that the novena begins on the Saint Andrew’s feast day and continues through Christmas. To participate in the novena, recite the beautiful prayer at the top of this article 15 times each day from the Feast of Saint Andrew (today, November 30) through Christmas Day. As I mentioned at the start, I was introduced to the Saint Andrew Christmas Novena by my sister when I was very young. In the weeks before Christmas, I recited the prayer 15 times each night after I was in bed, before I fell asleep. My motivation in reciting the novena was somewhat selfish, though. My sister had told me that, if I completed the novena, my wish would come true. I don’t remember what I wished for, but it probably for something I really didn’t need. This year, however, I have a special reason to participate in the Saint Andrew Christmas Novena. Will you pray with me?